Our mission at Aveda is to care for the world we live in, from the products we make to the ways in which we give back to society. At Aveda, setting an example for environmental leadership and responsibility is central to the company’s purpose-not just in the world of beauty, but around the world. Aveda sees beauty as a craft, not as a product result. Aveda beauty professionals are unique in the industry for their pursuit of a higher art: helping make their clients not only look beautiful, but feel beautiful. This selfless quest to bring out the beauty in their client through genuine care, differs from beauty industry norms. 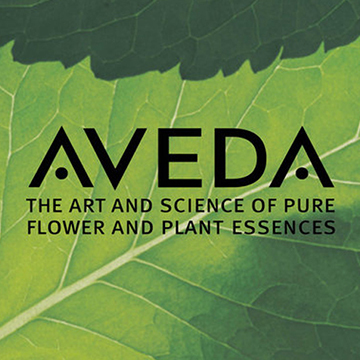 Aveda believes that authentic beauty is one that works in harmony with the greater web of life. It does not qualify as beauty if it hurts any of the diverse life forms that the best beauty artist of all, Nature, created. Beauty cares for the society in which we live, enhancing harmony in the way we live and interact with one another as human beings. In order to be Beauty, it also needs to be Good. Beauty is the result, but also the process followed in pursuing that result. We believe: In treating ourselves, each other, and the planet with care and respect. Social responsibility is our responsibility. Our authenticity and experience are our points of difference. In inspiring and educating people to integrate wellness and beauty in their lives. Our actions, products, and services should always embody excellence.